Sometimes, your dog will let out a little cough. You've written it off as no big deal since it happens so infrequently. However, not only has it become more persistent, but it's also accompanied by some serious gagging. What's causing the shift, and how concerned should you be? If your dog only coughs periodically and not persistently, you don't have anything to worry about. It's perfectly normal for a pooch to cough every once in a while. Just like us, he may just have a tickle in his throat, and the act of coughing will cause that sensation to cease. A sporadic cough could also be brought about by eating or drinking too fast. Again, this mimics the human sensation when we cough because something “went down the wrong pipe.” While this may inspire you to pick up a slow dog feeder, if this is the thing that’s causing him to occasionally cough, things are fine. When You Should Be Concerned? Your concern should be raised when your dog starts to cough or gag persistently and without any semblance of control. You should also take note if your pup’s hacking sounds differently than the typical sporadic cough. The sound of a pooch’s hack or gag could give you a clue as to what might be going on. There are a ton of reasons why your pooch has a cough that won’t go away. These reasons could be due to a specific condition built around persistent and obtrusive hacking. On the other hand, coughing could be symptomatic of bigger, more concerning issues. Arguably, the most famous condition attached to a coughing dog is kennel cough. Also known as tracheobronchitis, kennel cough is marked by an inflammation of the trachea and the bronchial tubes. It’s a highly contagious disease, and you can practically expect your pooch to pick it up at least once in his lifetime. The affect that kennel cough has on dogs varies from a case-by-case basis. In mild cases, your pooch will still act like he normally would sans hacking. In more severe cases, the condition could progress into more dangerous conditions such as pneumonia. What are Some of the Other Conditions? In some cases, a persistent cough could be a sign of a chronic condition, such as chronic bronchitis. These conditions could be a bit tricky to diagnose since they all tend to look like kennel cough from the outset. As such, you can almost say the condition reveals itself over time since kennel cough typically improves after 1 to 3 weeks. A more gruesome-sounding condition that could be behind the cough is a collapsing trachea. This condition is not as brutal as it may sound, as it just means that the trachea lacks the strength it needs to fully bring air into his body. 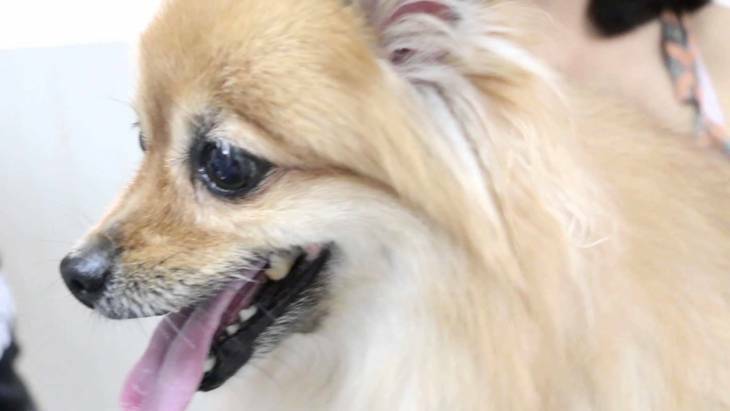 This condition is particularly seen in small breed pooches like Chihuahuas and Pomeranians. Some persistent coughs could be a sign that something is wrong with your dog’s heart. This is a broad-spectrum condition, as it could be symptomatic of anything from pulmonary edema to heartworm disease. In these cases, your dog’s persistent cough will obviously be the least of your concerns. The presence of fungi or yeast could also be causing your dog’s excessive cough. These types of infections are brought about through viral contact. These types of infections are relatively mild in nature and can be curbed with antibiotics or other prescription meds. In some cases, a cough could be a sign that your dog has cancer, particularly lung. In these instances, you may notice other accompanying systems that make the persistent coughing or gagging seem mild in comparison. How Did My Dog Become a Coughing Machine? Dogs are social and curious creatures, and both of these personality traits can get them into a mild bit of trouble from a health perspective. From the former standpoint, they will hang out – and sniff- other dogs whenever they get the chance. In the latter case, their penchant for inquisition may cause them to scoop up dirt, grass, or other unpleasant stuff. The viruses that can cause things like kennel cough or fungal infections have a tendency to jump rapidly from dog to dog. They also can be airborne in nature and can easily be acquired. The only way you're going to fully safeguard your dog from these relatively mild conditions is to shield them from the outside world – and why would you want to do that? If your dog has a persistent cough, you should bear in mind that your four-legged friend is sick. Therefore, you should treat him in the same mild manner that you would treat any other family member that has a health issue. A trip to the vet is usually the best thing you can do in this situation. Your vet will be able to give your dog a proper diagnosis of the cough's cause while ruling out more severe roots in the process. He or she will also be able to prescribe the right kind of medication to get your pup back on the mend. For some of these issues, you can be proactive and stop them before they start. Be sure that your dog is getting his shots every year and you’re following through with any heartworm prevention that is required. Also, if you’re taking your little guy out for a romp in a dog park, be sure to keep him from playing with other dogs showing signs of illness. The most important thing you can do in helping your pooch overcome his cough is to give him the proper time and space to recover. Even when he’s taking medication to help him get better, he deserves to be left to rest on his own accord. If you afford him the patience he deserves, he’ll be back to his awesome little self in no time. Thank you for such an informative post. It really did explain clearly the problem of persistent coughing problem in the pets. These tiny symptoms shouldn’t be ignored as our pets cannot tell us what they might be suffering through, we need to extra vigilant about their daily activities and if any atypical behavior is noticed, it should raise concern, so that if there are any health issues, it can be treated at its earliest. This post was very helpful in understanding the problem of canine cough. Very interesting and insightful information, definitely a good read for anyone who recently got their hands on a puppy and wish to know what those gagging and coughing noises could be.